Do you want sheets at this point as well or just the cliff notes version of important details? Sheets are not needed, but let me know what your traits and drawbacks would be. Traits: Your ancestors taught you the importance of using what nature provides. Fear: Annabelle is, honestly, afraid of being bound to typical family life. She is a normal young woman who would like to be married, but at the same time it isn't all that important. She enjoys what she does, but knows the attention she gives to her plants can just barely be split with a spouse, and certainly not with kids. She loves kids, but she's rather afraid of having any of her own because either they or her plants will suffer. Flaw: Annabelle is at first a bit standoffish...not because she is unfriendly or closed, but simply because you are less of a concern than her plants and her constantly churning inventive mind. Added to this is a bit of withdrawal from the loss of her father -- to whom she was extremely close -- and a reluctance to bond that deeply again. When she does bond, though, it is with fierce affection...quite often too fiercely nurturing to be tolerated. Annabelle grew up as everyone in the Faust family did -- connected to plants. What they grew was their life, and knowing every little detail about their crops is what kept them successfully growing them year after year. The family grew most everything, knowing that proper rotation and variety was key to keeping the soil good. Life was always ample and easy. Her older brother was affectionate, if something of a tease, and their relationship has always been quite good, if sometimes rife with typical bickering. She has grown into who she is much like the plants around her -- through care and tenderness blended with the occasional storm and rain. As a child she was naturally affectionate, pouring out love onto anything...whether it cared or not. Every day saw her with some new pet or favorite sprout, though each day those pets stood as much a chance of being lost as they did remaining a favorite. Her father died when she was only 9, but by that time her older brother was well into his teens, and with the help of her uncle successfully kept the farm up and running as always. The loss of a loved one changed her a bit, and now instead of losing her favorites so easily she instead tended them in earnest. As a farming family this was viewed in a bit of a skeptical light -- plants needed care, but the whole crop was what mattered and nothing except fruit trees mattered for more than a single harvest. Still, as time passed her efforts began producing fruit everyone could appreciate. Whatever she tended started becoming...unique. Plants developed new traits, seeds could grow in only a day, and her herbs...her herbs became the ingredients for wild creations of her own. Annabelle became known as the Plant Healer, a specialist to call in to tend whatever was growing to make it better, grow something special, or use what she grew to do something to better the lives of her neighbors. Now Annabelle lives quite happily in her own cottage beside the family house, her time spent in both her own gardens and running about town for others. Her cottage is, truthfully, more greenhouse than house, being filled with bits of plants, herbs, bottles, jars, seedlings, and other such accouterments as befits her job. She is still single, although her talents and generally good appearance and demeanor have her as a desirable pick for any household. Annabelle is blessed with earthy good looks. She has the sort of full figure natural to a woman who was raised doing outdoor labor, but it her proportions are favorable in those regards rather than detracting from her appeal. Her features are naturally more angular, but as with her figure they are both rounded and roughened by her time in all sorts of weather. Her clothes are simple and ample, intended to house pockets for her seeds and keep her cool and clean. Skirts are always of earth-tones since the amount of time she spends in dirt and mud would ruin any other color. Her torso is usually shrouded in a white blouse, over which is thrown whatever outer garment she happens to grab -- a red overshirt, a yellow vest, a blue jacket...sometimes intended for her figure, other times ranging to old belongings of her father. The only patterns she wears are found in the scarves that keep her hair clean and out of her way, although rich dark strands sometimes still escape. During the rare times she dresses more formally for some sort of celebration it is well known that her wavy locks reach down to slightly above her ankles, and in those circumstances can be found braided up in all manner of ornate designs. Such dressing-up is rare, however, and more often her appearance is punctuated by bare feet, a canvas satchel, and some sort of garden implement. "Oh nonesense, man, let me see that." Annabelle extended her hand expectantly, waiting for old Master Jameson to pass her his mattock as she wiped a bit of sweat from the noonday warmth off her brow with the other. "Trying to dig out a rabbit is like trying to drink the river. You'll die before anything comes of it." As he passed her his tool, she fished around in her satchel for a moment, and -- failing to find whatever she sought -- slipped a hand in the chest pocket of the jacket she currently wore. Its soft blue fabric let off little clouds of dust as she roughly probed the various pockets until she finally seized upon her quarry, patting it to remind herself of where it lay. "Aha! There you are ya little idget. 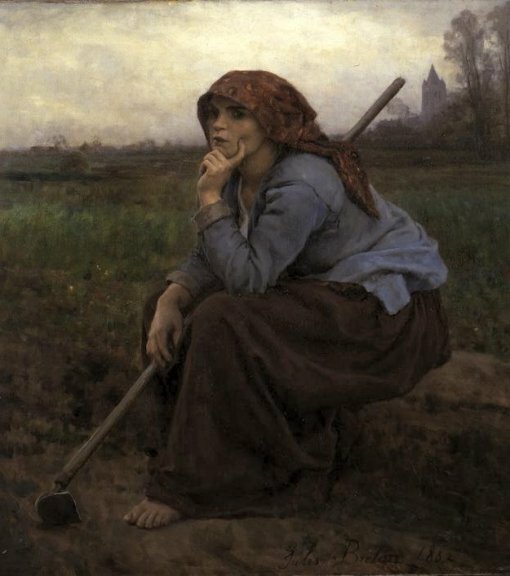 Now then..."
With a few deft strokes of the mattock, the ground near her feet was turned up in rich moulds. Knocking the dirt off the blade with a quick kick, she held it out for him to take. "Now then, let's see here..." Her words trailed off as they often did. She spoke not so much to herself as to the ground, plants, and world in general, and they never complained about her failing to finish a thought. Her actions spoke whatever her words didn't contain. Dropping to her knees, her left hand slipped a spade from the satchel and formed a small hole in the freshly broken ground with the speed of hands that don't need watching to do their job. In the right hand was held what she had sought earlier -- a single seed. In a matter of seconds the hole was covered and the seed patted down. "Come on now, little one. Come on..."
At her behest, the ground broke as a long, serpentine plant popped wriggling from the ground. With one dirt-coated hand she reached out, tenderly stroking her creation. With the other she pointed down the rabbit hole. "Go on then. Get it!" It slithered down the hole in a flash, and after a mere moment the scream of a dying rabbit rose muffled from the ground. Standing with a smile of approval, she nodded at the awed farmer. "I think we got your dire rabbit, neighbor." Last edited by Alphaeus; 01-29-2019 at 02:19 AM. What is the environment in which the village is set? Is there farmland, and if so, to what extent is it before transitioning to wilderness? Are there thick woods, hills, or mountains? What is the climate like, and what kind of weather - dry winters or heavy snow? Rain in the spring or summer, or not at all? In fact, what season are we in now - is it autumn or spring, winter or summer? Does the environment stick to the typical 4-season pattern, or does it include other periods, like a monsoon (rain) season? How far away from the equator is it - are the days longer or shorter? What about the average temperatures, and how does that impact the "now" setting you provided? Just updated my application! Also just wanted to say it's been a bit since I've been able to get into an RPG but seeing all the great posts here is getting me excited! Also I think it's more or less finished but I'm certainly open to feedback! Last edited by Balazar; 01-25-2019 at 10:01 AM. Alright I believe Jimmy is ready for review as well when you have a chance. Okay, Thomas is basically done. I switched him to Expert instead of Commoner for two reasons. First, he'll be less likely to just die from a stray AoE something. Second, because he needs more than two skill points to be able to fill his role of 'helper'. For everyone else, Thomas is closest with Lillian, but he would be friends with everyone else too. If you want to talk about your character's relationship with him up until this point, hit me up. I love this premise so much that I absolutely must apply.... Will be coming soon....and humans are lame. I have read over the completed apps so far and sent off messages. I will also offer another re-read before the choosing date, should you wish to make any changes or such things. Please also feel free once you have completed your application, to check in with others who have completed their own and see how your character's might interact. Nothing detailed needed, just a 'friendly, aloof, at the inn a lot, out on the farm a lot, hunts too" kinda blurb, on picking people, I will then have you build on these concepts before the game starts. Last edited by Kapera; 01-25-2019 at 03:15 PM. Appearance: Long messy brunette hair falls around a young and dirty face. Hand me down clothes that had to be let out around the sides to allow for the fuller figure that she had versus her sister Tallia, clung tightly to her body. The bottom edges of her dress and undergarments were torn and dirty from years of running around, chores, and having fun. 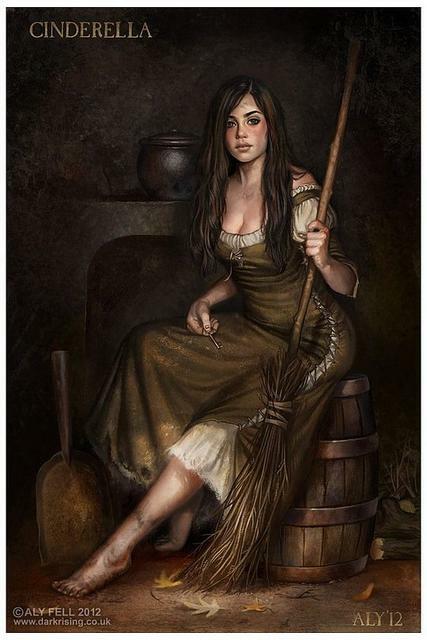 Though she is chided, usually she runs barefoot outside, dragging foot prints through the inn she works in. Flaw: Rash when she makes decisions, and argues frequently, especially with her parents or elders. Fear: Being forced into a marriage with someone she doesn't love. Ailin O'Shea: Best friend and partner in crime. They do everything together, and it's easy to assume that if one of them gets in trouble the other is not far behind them. Seamus: Crush, like many other girls in town. Plus, she loves that he likes to run around in the forest, her favored hide away. Garland Witcombe: Close friend. Someone she goes to when she needs advice, or just wants to relax. Though only time will tell, may be the boy next door that steals her heart when she gets older. Lillian Hartnell: When she goes to the inn she always goes out of her way to hold a conversation with Lillian to include her and make sure she feels accepted. Occasionally she'll make small quips to her in sign language, hoping to get a laugh from her. Biography: As the second daughter of Markus Rokis, it was always well known that Kirna was not the son that he had wanted. While her sister Tallia went off to be married without any hesitation, Kirna fought it and kept herself busy, dirty, and useful around the house to avoid having to be shipped off as well. While she didn't want to admit it, she enjoyed working in the small general store that was available in the town. On the side she ran errands for people, using her one love, her horse Ellio, to make trips back and forth from the fields. It seemed that only the horse could completely understand her, even if it never spoke back. While she wishes she could explore, Kirna is terrified of the outside world, and afraid to leave her ill mother and her aging father. Who would take care of the business, even if it barely made enough money to make by. Role Play Example: Kirna calmed Ellio as she hitched the cart to him, "It's okay, boy. We're almost done." After calming him and leading him towards some grass, she rushed back towards the end of the cart, lifting the fish into the hay lined cart, hoping for a good trip. She would hate the smell that would seap into her dress, but at least this way she got to get out of the house and away from sweeping the never clean floor. Lifting arm fulls after armfuls she organized the fish to ensure the biggest load. Every few minutes she would check on Ellio and calm him down in case he was growing restless. While he was used to people, he didn't always like to have the cart on his back. When the load of fish was mostly packed she walked calmly over to the lake and let her bare and dirty feet slip into the cool water. The cool liquid sent chills up her spine as she smiled and placed her hand on the necklace around her neck. It was a good season this year, and she was sad that Tallia wasn't here to participate, though she was happy that she didn't have to get her new clothes dirty now that she was gone. Plus, it was peaceful without her complaining now, "Alright boy, let's bring this back up there to get them started on the cooking." Your character is on that river bank working. Which job is theirs in the process, what are they doing? Write this as if it was a post in the game, I just wish to see your post-writing style. I am not expecting a book, just a real response. Last edited by TheDragonQueen; 02-09-2019 at 05:37 PM. My character is done, seems like a fun concept, and right up my alley. Last edited by TheDragonQueen; 01-25-2019 at 04:48 PM. Would an Oread with the 'Mostly Human' trait be okay? The family might not even know that they have elemental blood in their veins. I believe that can be worked with and explained Kaiya Especially with that trait in place. Hmm, I need to add some regular speech to my roleplaying portion. The reason the sign language is so fragmented is (subject to change) a combination of how rudimentary the language is since it was developed in-town, and/or because Thomas isn't as fluent with it as Lillian is. His intelligence is a little low, but I'm not playing him as any form of challenged. Just thought I'd clear that up for the other characters' "thoughts on the other apps" sections.